Gear Up For Spring - And Save! Our friends from BoatNameGear.com wanted to share this special offer, this weekend only, exclusively for readers of FirstBoat.com and the Daily Boater! 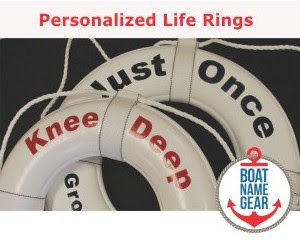 Use this special promo code (DAILY15) now and save 15% on orders of $99 or more of personalized boating gear at www.BoatNameGear.com. 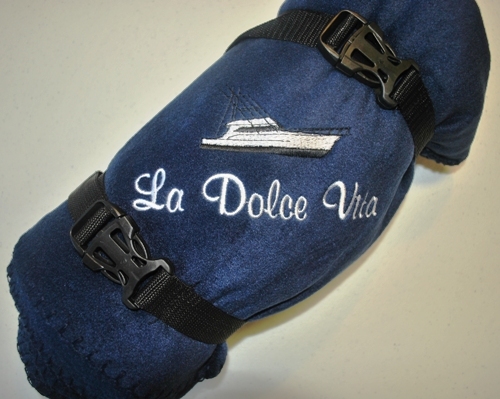 Shop for embroidered boat name visors and hats, or popular wicking performance polo shirts, a new assortment of spring weather jackets, all embroidered with YOUR BOAT NAME! Many items, like our personalized shirts, and our boat name visors and hats have quantity discounts built into the price so you can double your savings. Choose from our popular boat name coffee mugs, or our bamboo cutting boards for limes or cheese, or even an embroidered boat tote to gather all your nautical gear. 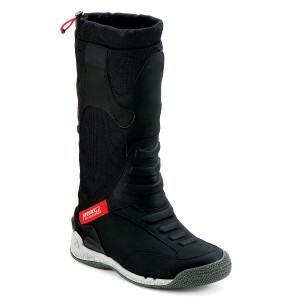 For the latest installment of the Daily Boater's Marine Product Review, Mark Sutton of MarineProductReviews.com put a pair of Sperry Top-Sider SeaRacer boots to the test. When you have a boating obsession – like I do – you spend some time finding literary daydreams to quench your thirst for getting back on the water. 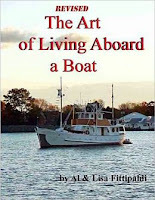 One of these recently discovered, splendid reads is The Art of Living Aboard a Boat by husband and wife team Al and Lisa Fittipaldi. 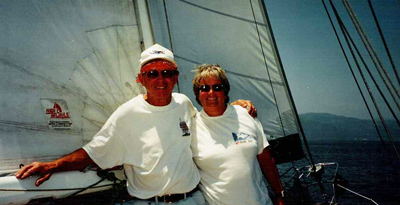 The book is a great narrative of two souls who ventured away from land-life and onto the sea, and never looked back. Most books in this genre often speak too poetically to the emotional and spiritual benefits of being on the water, but the Fittipaldi’s struck a good balance between inspiration and hard-hitting how-to’s. 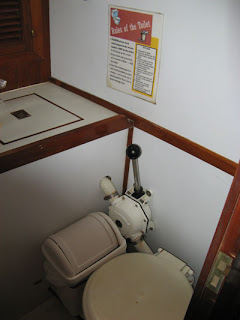 Okay, this is another post that is only semi-galley... but I've recently had a couple of e-mails on what to do with used toilet paper on board - flush it or not? - and also on one of the forums I'm on. So here goes! 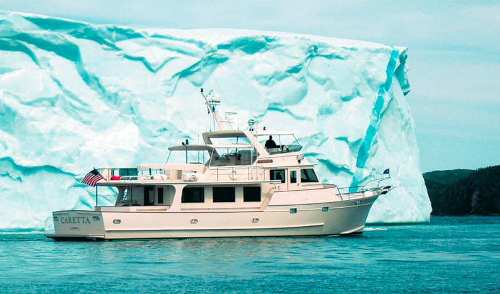 Although it may not yet feel like it in many parts of North America, this is the first weekend of spring and there are several spring boat shows going on. Although it may not feel like it, spring really is in the air, and it is time to get ready for boating season. And there's no better place to prepare for the season than at a spring boat show. You may or may not find green beer being served at any of the boat shows going on this weekend, but we wouldn't be surprised if you do. A boat show on St. Paddy's Day Weekend - can you think of a better way to celebrate then by attending a boat show with your family and friends. It's the perfect time to get ready for boating season! 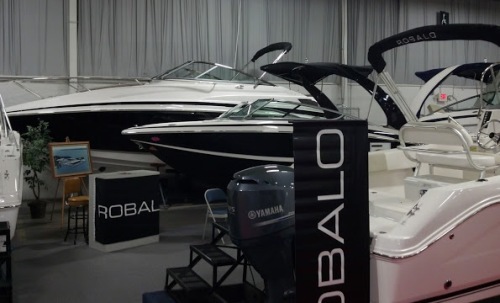 Robalo boats on display at last week's Philly Boat Show. Photo © Nautical Sites Media. Is your boat name on the list of top ten boat names? Some people look for a list like this to get ideas for their next boat name. Others look to such a list and breathe a sigh of relief that their current boat name is not included. A boat name blanket emblazoned with one of this year's top boat names. Is yours on the list? 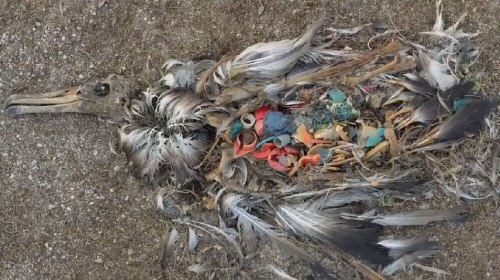 I've written a number of articles about trash management, and anyone who has driven by a Wal-mart - or in a less developed country - knows the eyesore that windblown trash can become. 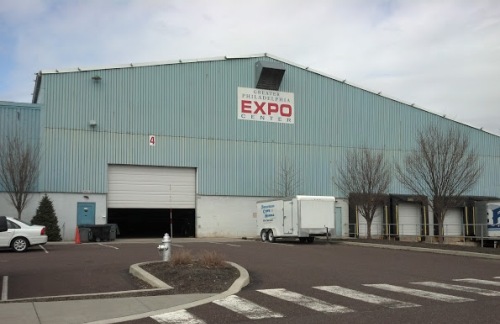 You may have trouble getting to many of the boat shows going on this weekend in the Northeast, but not the Greater Philadelphia Boat Show which escaped the brunt of the big snow storm. Prior to our first charter trip, I'd never used propane for anything - not even a camp stove or gas grill! And I had very little experience with a gas stove or oven; about all I remember is a few friends having them and seeing them when I helped in their kitchens, but never using one. So you could say I had more than a few questions... and more as we bought our own boat and began cruising! 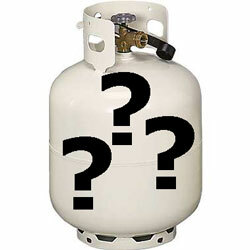 I'm not going to try to cover everything about using propane in depth in this article (in particular, I'm not covering maintenance or troubleshooting), but basically hit on the important things to know if you're not very familiar with it. At 4:47 PM on February 19th, I sent an email to Nicky Fleming, the Director of Marketing at Fleming Yachts, asking for an interview for an upcoming story. At 10:32 AM on February 20th, Tony Fleming emailed me back. This is where the Fleming brand begins and ends – with Tony Fleming. If you have ever read any of Tony’s interviews or articles (this is a great one in which he speaks at length about the reasons behind Fleming builds), you’ll recognize that doing business with Fleming Yachts means doing business with Tony Fleming. Essentially, by purchasing a Fleming, you’re subscribing to Tony’s system. You’re saying, “I agree with Tony Fleming that bluewater cruising boats should be incredibly sturdy, timelessly elegant, technologically sound, whisper-quiet, mechanically perfect, and increasingly better with every rendition.” If you agree with Tony Fleming, come aboard. 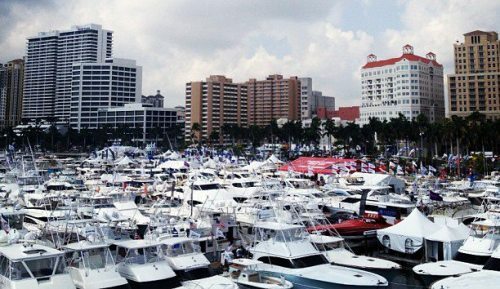 If you couldn't get to the main event in Miami last weekend, don't worry, there are still plenty of boat shows to help get you through these last few weeks of winter. 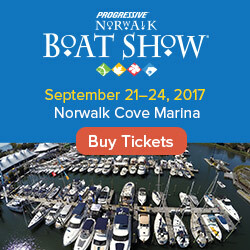 This weekend, in fact, there are nautical events all over the country, including Georgia, Colorado, Massachusetts, Maryland and Maine. There's even a show up in British Columbia worth mentioning.